Hexed was such a fun story! Witchy stories usually end up being favorites of mine, and while this one isn't perfect, it will definitely end up on a "Great Witchy Stories" list somewhere! The characters are fun, the plot is interesting, the world-building is well done, and the pace is fast. I never lost interest, and I felt a connection to Indigo from the beginning. There are the normal "good guys" and "bad guys", but it is almost impossible at times to tell the difference between the two. 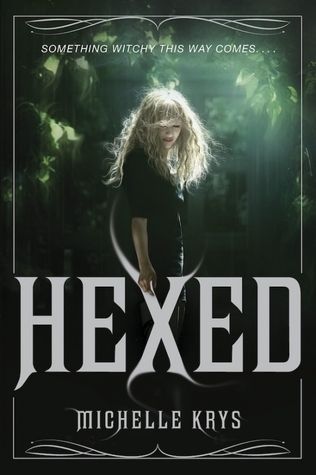 Surprisingly, Hexed has some deeply horrific and emotional parts to the story. That just drew me in even further and made me more attached to Indigo. Her best friend is horrible, her boyfriend is worse. She has it rough in the book. BUT she kept her head on straight for most of the story. She wasn't whiny and she fought hard. She didn't give up. Bishop is a great character. Incredibly sarcastic, and that is never a bad thing for me. I really enjoyed reading the scenes between Indigo and Bishop. They made me laugh, and sometimes cringe. There is romance, magic, intrigue, blackmail, deception, loss, anger... There are so many things about Hexed that made it a truly good story and I am very much looking forward to the release of the second book. I have a feeling we will be in for a serious, magical treat with book 2! Sounds like a pretty fun book to read. I love checking out what's getting reviewed here because I find wonderful books to update my TBR list. You should absolutely give this one a shot. I adored the story and the characters! I hope we keep giving you some great stories to add to your TBR!